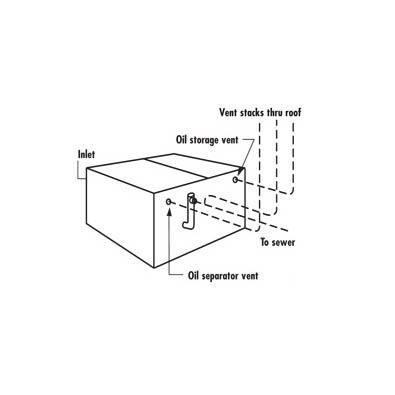 Furnish ____Rockford Model OST-____-____gallon integral storage compartment, all-welded ____ 1/4" steel separators, ____g.p.m. intermittent flow ____" (tapped) (hubbed) inlet and outlet, ____" tapped internal vent connection ____" adjustable oil draw-off, visible double-wall outside trap seal, non-removable separator screen with easily removable filter screen, removable 3/8" nonskid diamond treadplate cover(s) for flush-with-floor installation for pedestrian traffic, or reinforced for ____ (light) (heavy) traffic, cover(s) secured with stainless steel flat head screws, extra-heavy leakproof gasket. 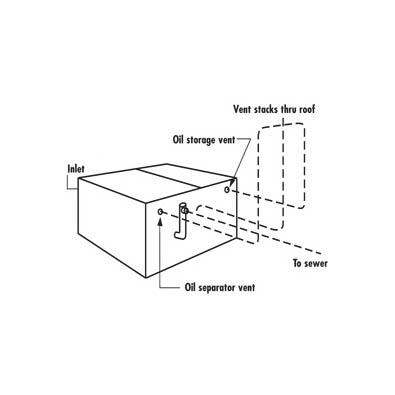 OPEX® Shop Coat coating (resistant to oil, grease and cutting oils) inside and bituminous coating outside. Must conform to local code. 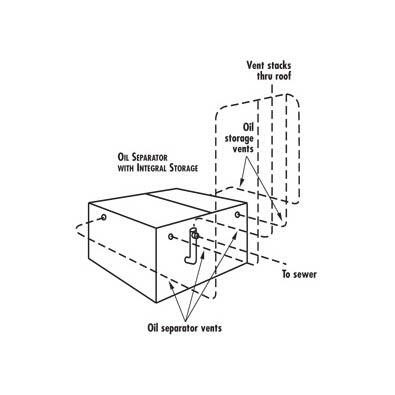 Visible double-wall outside trap seal with vent connection prevents siphoning. 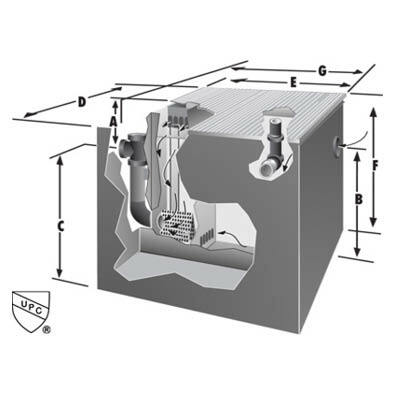 Separate internal vent connection keeps pressure from building up inside the unit and from forcing the contents into the drainage system. This independent vent also releases any fumes which may build up inside the unit. The wet inlet design prevents the entry of sewer air into the premises. Some oil-laden wastes carry with them small particles of suspended matter. 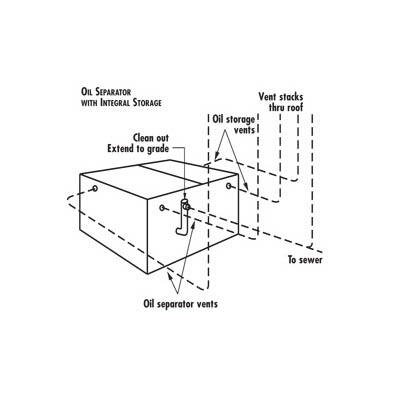 For such installations we recommend the OST Series separator be ordered with a filter medium. This will keep the tiny particles of suspended matter with attached oil globules from passing into the drainage line. Where individual problems or large projects require special applications, the assistance of our Engineering Department is recommended. The maximum amount of waste water containing non-soluble oil that can be discharge through any listed separator is two (2) times the stated flow rate in g.p.m. For example, a separator rated at 50 g.p.m. may only have 100 gallons discharged through it in a one-hour time period. This is usually accomplished by a batch dumping process. However, 100 gallons may be discharged continuously if the flow rate is monitored at the rate of 1.66 g.p.m.